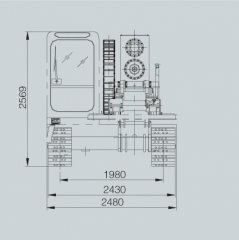 Hydraulic System: Various advanced control technologies such as the closed energy-saving circuit, hydraulic pilot control and electro-hydraulic proportional control are adopted. Cab: All weather single cab endures the comfortable operation. 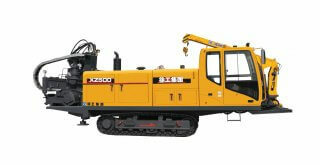 Engine: The turbocharged engine with high power reserve ensures the drilling power. Drill stand: High- Strength assembled drill stand is suitable for 4.5-meter drill rod; the sliding drill stand facilitates the angle adjustment. 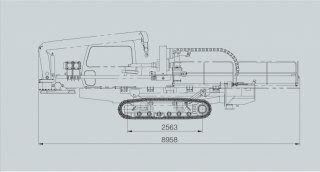 Crawler: Self-propelled steel crawler makes the machine easy to transfer.